Terry Burrus performs the great classical masters from Shostakovich to Grieg to Mozart and has always endeavored to step further beyond. Creator, composer, producer with orchestra and his various ensembles, "Terry Burrus performs a wide variety of music from the grooves of house and techno to traditional jazz to R&B Soul hits from the 1960's to the 2000's including musical tributes to Pearl Jam, Pink Floyd, Abba, the Jacksons and the Beatles. Terry Burrus can take it even further with hard groove and dance tracks. 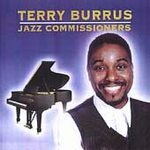 The forthcoming album from Terry is called,"Terry Burrus dot com" which features a wide variety of vocal and instrumental guests in Jazz, Pop and Soul. Terry Burrus strives to create musical projects that can be described as tasteful and enjoyable. But it was not always the case for the pianist in the beginning. Alot of years, training and learning made him the new visionary. Studying Beethoven, Dvorak, Grieg, Mozart, Chopin, he is also deeply rooted in Soul, Jazz, Gospel, and dwells deep in Electronica. Making home between Europe and the United States, his musical journey becomes more exciting and challenging when working with new and exciting people in different genres.The musical versatility is due to the many artists and recordings Terry has worked on as well as his extensive worldwide travels and experiences for years.The native New Yorker learned the piano at age five and became a church organist at Washington Temple in Brooklyn, New York by the time he was seven. He studied with Sticks Evans his musical mentor teacher in Junior High School and it was there where Terry put together his Junior High School band as a guitarist which he got quite proficient on and also a keyboardist. The band would play locally in New York including the prestigious Lincoln Center Performing Arts Center, performing jazz,soul,r&b and Broadway classics. He attended the La Guardia School of Music And Art in New York City diving further into jazz and formal studies and absorbing the concepts of arrangement and counterpoint, he excelled so fast as a musician that by the time he was sixteen he was touing with Jean Carne, Lenny White, Michael Urbaniak, Tom Browne, Melba Moore and others all before he turned twenty. While studying at Long Island University in New York he continued on to tour with Stanley Turrentine, Phyllis Hyman.Through Phyllis Hyman Terry also had an opportunity to perform with the great Lionel Hampton, Kenny Burrell and Ray Brown.Terry also went on to play for the one and only Miss Lena Horne.Lena Horne was a turning point because it opened up his mind even more to music, life and beyond. Being very young at the time,the school of Lena Horne was a great education in itself.The band comprised of Rodney Jones on Guitar, Ben Brown on bass, Wilby Fletcher on drums, Terry on piano and musical director, Linda Twine. Terry continued on his musical journey to tour or/record with the likes of George Benson, Dan Hartman, Toni Braxton, Cardigans, Janet Jackson, Chaka Khan, Ramsey Lewis, Bill Withers, Adeva, Mariah Carey, Lisa Stansfield, Michael Jackson, Swing Out Sister, Harlem Gospel Singers and a string of others. Also been musical director and keyboardist for many jazz tours with Larry Carlton, Stanley Clarke, Gato Barbieri, Ronnie Laws, Bobbi Humphrey and more. He has led groups ranging from traditional jazz to jazz fusion, from funk to Gospel to Electronica. Terry also got quite proficient on bass as well as guitar over the years. 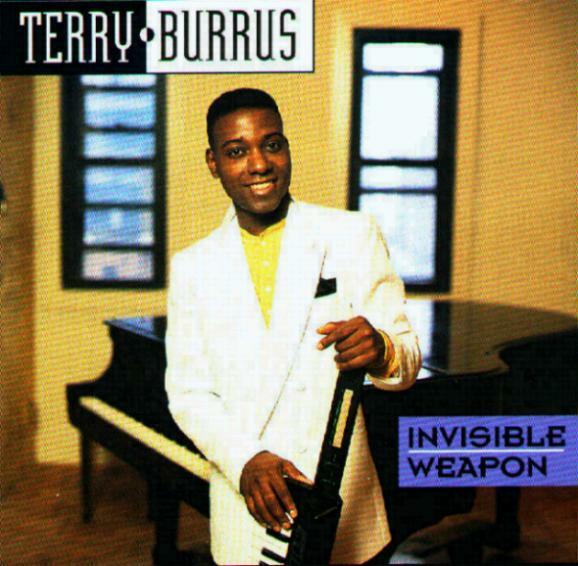 While in the middle of recording sessions, tours and college studies he recorded his first solo single for Arista Records titled, "Love Rockin", under the name, Terry Burrus and Transe, an R &B funk track written by Terry. A friend from high school,Omar Hakim was on drums and production was by Terry and another high school buddy, Marcus Miller.Terry went on to record other solo singles on various labels and 10 solo albums including his current, "Global Dancefloor Booked" album (electronica) and his solo piano album, "At The Konzerthaus In Dortmund" which concentrates on the new world of improvisation over the great Classical masters and pop composers. (Recorded in Dortmund,Germany). He also had another revelation in his life. He wrote and produced with the President of Philadelphia International Records, Kenny Gamble, who was a big influence on Terry in the music business. They wrote and produced, "Living In Confussion" and "Forever With You" for Phyllis Hyman. Terry wrote, "I Just Love You So Much" for Billy Paul and he wrote and produced,"Love Goddess" for Lonnie Liston Smith.Terry also wrote and produced,"I'll Wait for You" and "The One And Only Lady In My Life"for Virgin recording group, Burrell and the list goes on for other compositions and productions to his credit. With his contributions to the many remixes of artists during the eighties and nineties to present day, reinforcing the sound of House Music, Terry took up the art of DJing. He began spinning at New York's Pyramid Club and like his musician side he travels extensively around the world as a DJ under various names. His early associations working with Def Mix Productions, Frankie Knuckles, David Morales, Satoshi Tomiie, Todd Terry, Junior Vasquez, Jellybean Benitez,Tony Humphries, Francois K and many other International and American DJ producers have rooted him quite well on the dancefloors and in the remix world. Stretching into the world of Techno, Trance, Ambient, World and more, he has created sounds and style in electronica that grew rapidly around the world. Terry keeps a constant schedule of piano recital concerts worldwide as well as with his various opera projects featuring the Golden Tenors and Sopranos, Best Voices, even the House Of Dance Company and with orchestras. At times you can see him playing with other well known and upcoming artists also. Terry Burrus concerts are full of lights and exploding bombs with high power guitars and keyboards. You may even find him in a DJ setting anywhere in the world as well. Either way that you catch Terry you feel the excitement and energy of Terry Burrus in concert.